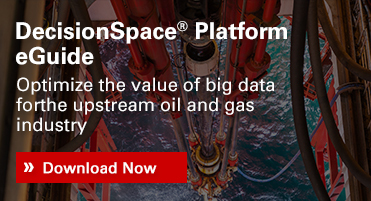 As exploration and production challenges intensify, the ability to effectively manage E&P data from Acquisition to Decision™ takes on even more importance. By developing and integrating a holistic information management solution, overall communication is enhanced, business strategic alignment is made easier, and data integrity, consistency, and accuracy go up while data management time and costs go down. Well data is a key data type used throughout the life of an asset but it takes many forms as it is acquired and used. Historically many companies have created well master databases and many are no longer maintained or poorly connected to other databases which limit their usage and reliability. Improving the storage and access of definitive versions of the well data is a critical component of any corporate data management strategy and continues to be a challenge. Landmark provides a full well data management solution that can be integrated with existing applications and data stores through the robust and open DecisionSpace Platform. The volume of digital borehole data is growing as the number of logs, cores, surveys and petrophysical analyses per well increases. Automating the movement of borehole data through the company from the time is it acquired to the time it is effectively used by technologists is a key challenge to reduce costs and potential errors. Recall™ Borehole data management software efficiently stores, manages, and publishes raw and edited borehole data in one integrated system. It can leverage Landmark’s Corporate Data Store to manage general information or can be connected to a company’s existing well master database. The industry has experienced big data in the form of large amounts of seismic data for some time. Landmark’s Seismic Data Management solution is built to manage high volume seismic, gravity, magnetic, electromagnetic data, and documents. It can easily be deployed and customized to meet the particular data delivery requirements of any corporation or national data bank. The technology has powerful capabilities for integration with other systems and can be incorporated into a seismic processing environment. Asset teams need rapid access to data that drives their daily workflows. Greater insight and better decisions are derived from data that is complete and shared by the entire team. Landmark project and operations databases are true multi-user databases that allow team members to instantaneously share information and insights without needed to transfer data between users. Having shared databases dramatically reduces data duplication and ensures better and more accurate decisions as all team members are working with the same data. A key component of any Information Management strategy is the integration of technologies needed for each company’s unique environment. Landmark provides solutions to manage data throughout the project lifecycle from asset appraisal to mature field recovery. Landmark's data management solutions, based on our vendor-neutral DecisionSpace® Platform, help you provide timely, accurate and consistent information across the entire organization.